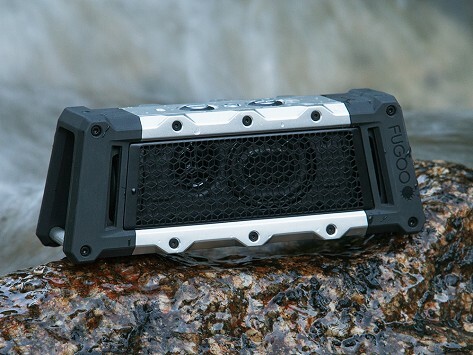 The Fugoo Tough is a waterproof, Bluetooth-enabled, portable speaker that delivers heavy-duty sound and withstands heavy-duty abuse. Encased in fiber-reinforced resin and solid aluminum, Tough delivers 40 hours of play on one charge. Mount it on a pole, railing, walking stick, or more with the optional Fugoo Mount Pack. Dimensions: 2.9" x 7.75" x 2.3"